Please note the pile of dead things on the left. 1) keep shuffle up as much as you can. using blackout kick uses up 2 chi. 2) Keep them debuffed. Dizzying Haze is easy to apply and is great for pulling. 3) Keep their attention. I focused on the stay alive stuff in parts 1 and 2. This is what we get to talk about today. 4) Use your stay alive skills. Purifying Brew, Guard, Elusive Brew, and other cooldowns as needed. Behold the trash pack. 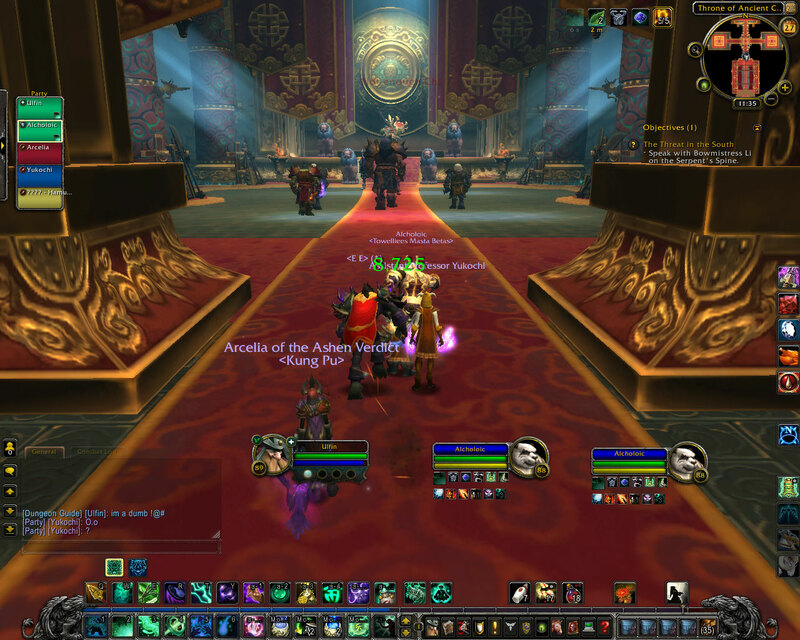 This group of 4 Mogu are one of the last pulls before the final boss of Mogushan Palace. three of them are Melee and one of them is a caster. With zero chi this is how I would start this pull. I would mark the caster with a skull and the guy on the right for some CC (especially in heroics. 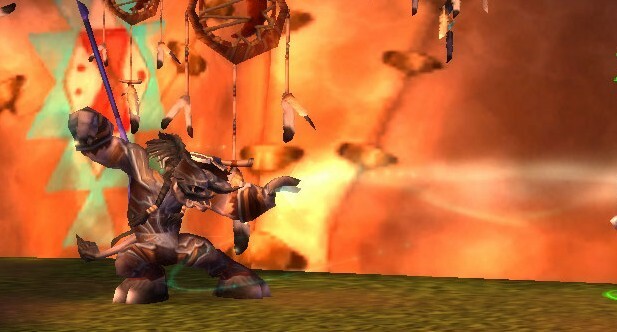 the hardest transition in an expansion is people remembering that we don’t grossly out gear the content anymore). First I cast Dizzying Haze on the group Dizzying Haze causes no damage, but having someone throw a keg at them causes enough threat to get the party started. Second I Clashto the skull which will put me in a good position to make the bad guys very angry. So there i am with everyone’s attention and no chi. Third I hit them with another keg (Keg Smash which gives 2 chi) and blackout kick to get my shuffle up. Then the jabbing begins. Power Strikes a level 45 talent gives me 2 more chi from my jab which I use to set every one on fire. That’s the first 6 seconds. That skull is going to die fast and once your down to 3 bad guys you can pretty much rely on keg smash alone to keep their ire up with a Breath of fire every once in a while to keep them from running of to squish the warlock who doesn’t want to assist of the tank. There are of course other ways to do it, and this was an example of a chiless pull. you should never go into a pull with zero chi. Not because it is a bad thing but because we have Expel Harm. if we use this while running between pulls we can build up Chi giving us more flexibility going into the next fight. it gives us the ability to put out a little more burst threat by letting us use Breath of Fire earlier in our initial pull, or starting the pull with guard up. A piece of advice i have given to new tanks is to use some of your mitigation abilities early in big pulls. when your puling a group of 4 or more bad guys the amount of damage is only going to go down as the pull progresses. For us that Mitigation can come from Guard. If you have chi burning a hole in your pocket pre pull consider Guarding to take some of the initial heat of your healer. Another less elegant option for the group pull is Spinning Crane Kick. this skill is a three second channel that hits everybody in melee range, generates 1 chi if hitting 3 or more targets, and allows you to dodge and parry. So We have casting Spinning Crane Kick twice in a group gives us 2 chi, and takes 6 seconds. Shuffle lasts six seconds and Black out kick costs 2 chi. It works but it will limit your options to react in a changing environment, But it works. I will usually use this method in situations like the first few pulls in Shado-Pan monastery where the mobs spawn copies of themselves. You start with one bad guy and end up with a bunch. The boss fight is a bit more straightforwardish. Lets go over how I do it using our guidelines. Guidelines 1 and 3 are taken care of easily with using BoutK. It creates plenty of threat and keeps up our Shuffle. Each kick gives us 6 seconds of shuffle, so if you kick twice in a row you get 12 seconds of shuffle. Guideline 2 is taken care of by Keg Smash which we will want to use every time it comes of cooldown. This will maximize our Chi generation and keep Dizzying Haze up. Always put down an Ox statue too. That is the bare essentials. A couple of other notes on boss killing. 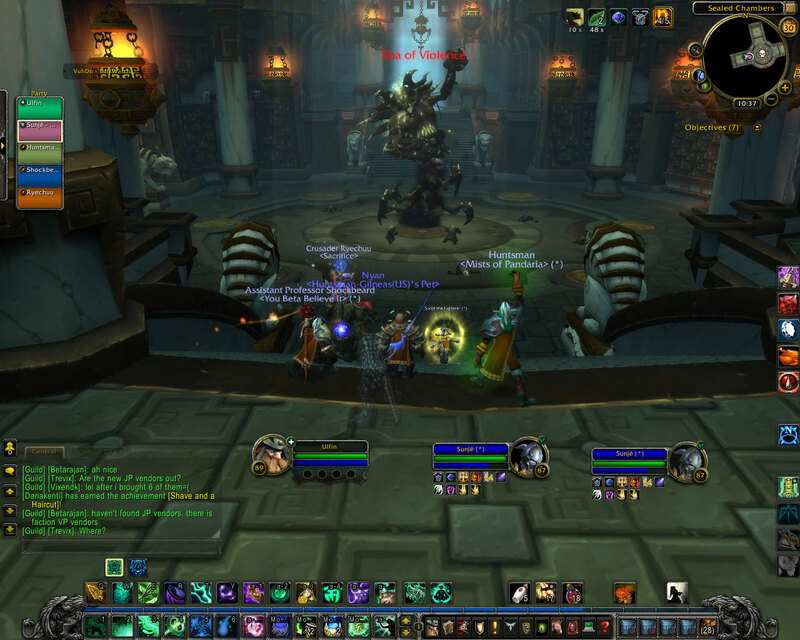 Brewmaster Training makes Tiger Palm a skill we will want to fit in 3 times every 30 seconds to make our guard stronger. Tiger palm is free now and I can usually find spaces where my resources aren’t capped to use it. Keep your eye on how much damage you have in your Stagger and if it is a lot Purifying brew it. in the boss fights I have done I try to get rid of it when it is between 60k and 75k. If you let it get to 100k or more that is 10k damage a second that is easily removed. Please don’t forget your cooldowns fortifying brew, dampen harm or diffuse magic. I prefer using dampen harm early to smooth out some damage, and let my healer get settled into a rhythm. Knowing that with it’s 1.5 minute cool down I’ll have it back at the end of the fight. I generally try to save guard for one of 2 things, either the boss’s big unavoidable AOE ( so my healer doesn’t have to pick between saving me or all three DPS) or the skill in the dungeon journal with the big red exclamation point. It seems like one of those 2 things is happening every 30 seconds now in boss fights. My last stay alive note is that elusive brew is a very very strong mechanic 30 percent dodge is a lot, please use it. I have been trying to use it between 6 and 8 stacks, but want to train myself to just hit elusive brew when stuff is getting hairy regardless of stack size. I don’t want to use it like an on use trinket, because it’s proper use can really make us hard to kill. 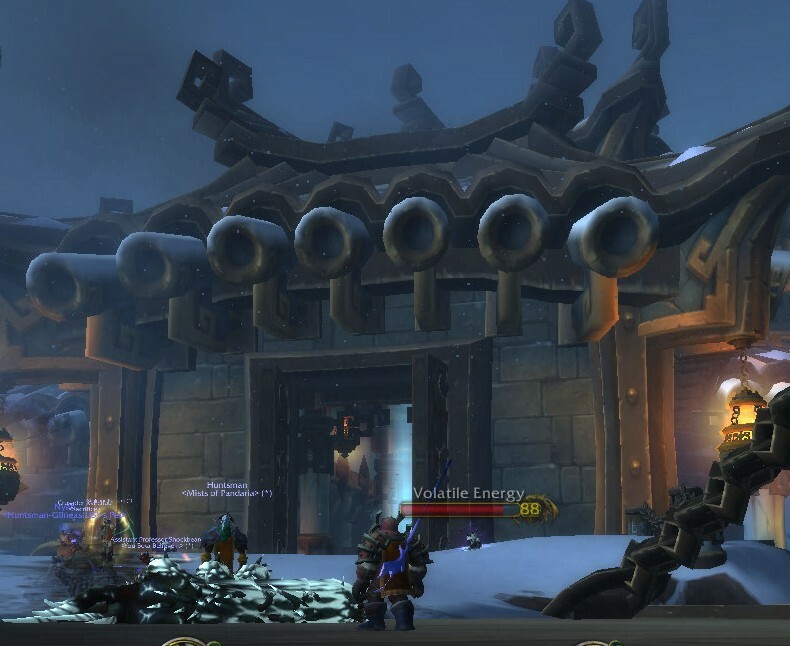 Finally brewmaster Monks have no excuse to be standing in the bad we have to many tools available to move quickly, and blizzards designers seem to have fallen in love whirlwinding bosses again. Roll out and clash back. it works great. We have transcendence too just in case. I again want to stress this is how I do it. Not how you have to. We have some excellent tools, and fun mechanics. If your going out for some adventure don’t leave your kegs at home. On a language note the term Keg’s is slang in Scotland for your undergarments (usually male) so I have been taking great and childish amusement in all mention of Brewmaster skills.